“There are few diseases which afflict the Human Body, attended with greater disadvantages, than those produced by Distortion. It gives not only an unpleasing appearance, but innumerable complaints generally follow”. So ran an advertisement titled ‘Distortion’ in the True Briton newspaper of January 1800. In the eighteenth century, good posture was becoming an important issue. Sloppy posture which, in John Weaver’s Anatomical and Mechanical Lectures Upon Dancing (! ), included ‘holding down the head’, putting out the chin, stooping in the shoulders, bending too much forwards and thrusting out the belly’, were not good signs. The vagaries of early modern life left their mark on the human form in various ways. Various medical conditions could leave bodies in a far worse state than they found them. Diseases in childhood, such as rickets, affected gait, while accidents could lead to poorly formed limbs. Well-meaning but botched medical interventions could leave highly visible traces. Poor diet and harsh living conditions affected health and appearance. In all respects the eighteenth-century body was a product of its time. A ‘crooked’ body left its owner open to a cruel raillery of insults. 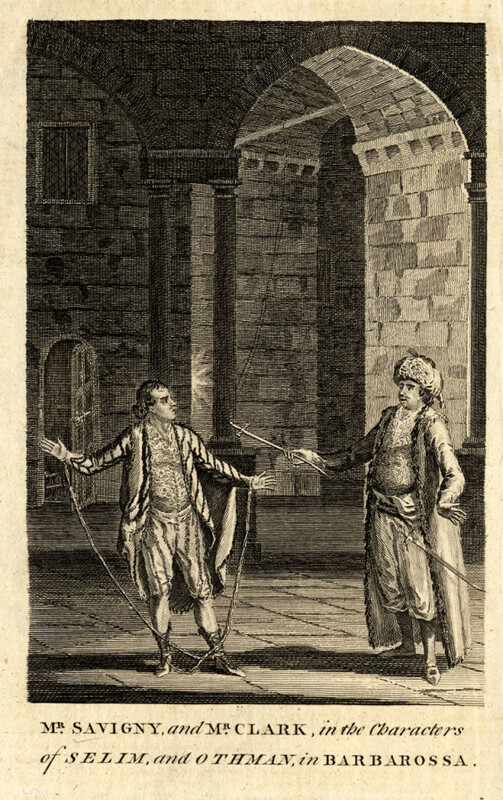 David Turner’s excellent book on disability in the eighteenth century details some of the terms of ridicule that could be levelled at those whose bodies did not conform to erect ideals.James Caulfield’s 1793 dictionary of slang included terms such as ‘lord and lady’ to denote a ‘crooked or hump back’d person’. A ‘lame or limping man’ might be referred to as ‘Mr Hopkins or Hopping Giles’. In literature, ‘deformed’ people were treated to highly pejorative terminology from ‘a creeping creature’ to various other plays upon ‘crookedness’, lameness or distortion. Having a ‘crooked’ body could also be a potential social barrier. For a woman marital prospects could be hampered. For men, the emphasis upon hardy male traits such as elegance of form and posture – as well as a general mien – made standing up straight a key consideration. But, as with many other areas of daily life in the eighteenth century, where there was a problem, there lurked a ‘specialist’ to sell you something for it. Georgian newspapers contained a raft of devices designed to help people shape their own bodies. Key to this process were conceptions of ‘correction’ and ‘concealment’. One of the biggest areas of the market was for devices to ‘cure’ hernias. In many ways the eighteenth century was a golden age for the ‘rupture’. New types of industrial processes, the harsh, physical nature of manual labour and even the demands of new environments such as the navy led to a virtual plague of ruptures. The problem with inguinal hernias was the fact that they could lead to large, painful and highly visible swellings in the groin. No surprise then that truss makers often sought to emphasise the strength of their products in concealing the problem. In 1790, Mr Dowling “Improved Patent Elastic Truss Maker’ of St Martin’s Lane, London, begged leave to acquaint the public that he had brought his trusses to ‘so great a degree of perfection that the most troublesome rupture can be kept up with ease and safety’. Unlike tight waistbands which worked by ‘forcing the contents of the abdomen downwards’, making them uncomfortable to the wearer, Dowling’s ‘Improved Elastic Breeches Straps’ were just the ticket to keep everything held up and in place. Timothy Sheldrake’s ‘Double Springed Elastic Truss’ was claimed to ‘keep the largest rupture up with less inconvenience than a small one can be kept up with any other Truss’. An important consideration for wearers was that of discretion. To be seen wearing an unwieldy truss would merely draw attention to the afflicted parts. As ever, makers were ready. J. Meares of Ludgate Hill reassured customers that his devices were so discrete that ‘even the most intimate companion cannot discover it’. Others designed their products to be ‘indistinguishable from nature’. Apart from trusses, a range of products was available to encourage the body into a straight, erect form. It was seen as important to catch children early and teach them (by means of forcing them!) to stand properly. Leg irons, to be found amongst the stock of J. Eddy of Soho, were one means of forcing bandy legs into a socially-pleasing form. ‘Elastic bandages’ and stays worn under the garments used their properties to force an errant body into submission. As children got older and went to school, the process accelerated. Parents of girls were especially obsessed with achieving the graceful swanlike neck so desired by artists such as Joshua Reynolds and his ‘serpentine line’. Amongst the products for achieving this were steel collars, that literally forced the chin up into the air. Steel ‘backs’ and ‘monitors’ were strapped to the back and made it next to impossible for a young person to slouch. Exercising with ‘gymnastick’ equipment including dumb bells was advocated to open up the chest. In 1779, one Abraham Buzaglo patented his ‘machines &c for gymnastick exercises’. Many of these devices were extremely uncomfortable to the wearer. The Reverend Joseph Greene complained that his truss chafed the sensitive skin of his inner thighs and ‘bruis’d ye contiguous parts’. 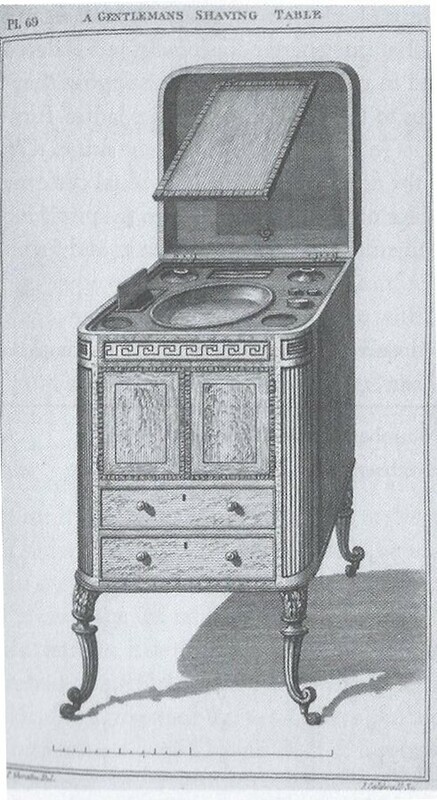 Writing in 1780, Henry Manning commented on the popularity of such devices, which, he argued, were of little practical help. Indeed, according to Manning, the patient frequently became unhealthy and died in an exhausted state, or was forced to live out a miserable existence confined to chair or bed! Makers were forced to respond by stressing how light, durable and comfortable were their products. J. Sleath was at pains to reassure ladies that his steel backs and collars ‘of entire steel’ were ‘peculiarly light, neat and durable’! By far one of the most painful devices ever marketed was the ‘neck swing’. Swinging was recommended by surgeons as a means of stretching the spine. The ‘neck swing’ operated by encasing the sufferer’s head in a steel cap and frame, by which they were suspended off the ground for hours at a time. A surviving account by a young English girl highlights how uncomfortable this could be. “I remained suspended in a neck swing, which is merely a tackle and pulley fixed to the ceiling of the room; the pulley is hooked to the head-piece of the collar, and the whole person raised so that the toes only touch the ground” In this position, she spent much of the day. After two decades of treatment, it was reported that her spine had actually decreased by six inches! People were prepared to go to great lengths to achieve a straight body, even if it meant enduring excruciating pain to do it. The eighteenth century was indeed a period when people were increasing turning to new technologies in order to shape their own bodies, from razors and personal grooming instruments to postural devices and even new types of surgical instrument. Today we still have a strong sense of ‘straightness’ as a bodily ideal and a large market exists for products to help us sit straight, particularly in the workplace. Whilst the ‘neck swing’ may have long gone, we’re still obsessed with body shape and the need to conform to what any given society deems to be ideal. Zounds how you scrape! Being shaved in Georgian Britain. Last week, for the first time in my life, I was the lucky recipient of a wet shave with a cut throat razor. As part of my duties as a BBC/AHRC ‘New Generation Thinker’ I was making a short film about shaving in Georgian Britain, the conclusion of which sees me having my beard shorn off in the Pall Mall barbers in Fitzrovia, central London, a traditional barbers’ shop with a history dating back to the nineteenth century. http://www.pallmallbarbers.com/ (I don’t usually go in for endorsements in the blog, but will make an exception here and say a big thanks to Richard and his team for looking after us. Much appreciated guys). For someone who has always used safety razors, I must admit that I was slightly nervous. After all, sitting recumbent in a chair while someone sweeps a lethally sharp blade over your neck might not immediately seem like a good plan. I needn’t have worried. My barber, Michael, was an expert and, after a bit of preparatory work with hot towels and various creams and lotions, six months’ worth of beard was gone(smoothly and painlessly) in less than half an hour. But the experience was interesting for me on another level. Having been researching and writing in various ways about shaving for the past five or six years, this was a chance to get close to the experience of men in the past. Maybe sixty or seventy years ago, the cut throat razor was still extremely popular. Today, being shaved by a barber is something of a luxury. As I sat there in the comfortable chair, being shaved with a modern blade that was…well…razor sharp, I was reminded that this wasn’t always the experience of stubbly men in the past. In Georgian Britain, shaving could be an extremely uncomfortable experience. Steel razors were already in use in the first half of the eighteenth century. These were often made of a type of steel called ‘shear steel’, which was made through an older process involving heating iron with layers of charcoal so that it absorbed the carbon. Whilst tough, this type of steel was prone to be brittle and not best suited to holding an extremely sharp edge for long. It needed constant re-sharpening with a strop –a leather strap which was held while the razor was swept up and down in long strokes. After 1750, a new type of steel – cast steel – began to be introduced. Cast steel was more uniform in quality, capable of carrying a sharper edge, and had the added benefit of being capable of carrying a high polish. This meant that razors could look good, as well as working well. This is a model by the prominent razor maker and metallurgist James Stodart. Image from http://www.taylors1000.com/index.htm, used with permission. But even despite the availability of new razors, and the increasing habit of auto-pogonotomy (shaving yourself! ), the barber was still the mainstay of shaving services. The problem was that the quality of barbering was, like the razors, not always uniform in quality. In fact, unlike today, barbers had something of a bad reputation for the treatment sometimes meted out to men coming into their shop for a shave! Even once the shave had finished the ordeal might not be over. Many would have left with a prodigious shaving rash, not to mention the nicks and cuts that would be difficult to cover. By the 1780s, some perfumers like Robert Sangwine of the Strand were beginning to sell various pastes and potions to soothe smarting skin. 18th-century classified ads…see if you can find Sangwine’s advert! On a more serious note, a visit to the barber could be a threat to health. Razors might be washed between customers, but not in clean water. Matter such as blood and debris left on the surface of the razor, and its handle, could easily be transferred to the next customer, perhaps even into a cut, leaving them susceptible to infection. It is also likely that, even with well-sharpened cast steel razors, the shave would not be as close as those experienced by modern men. It is also unlikely that the majority of men either shaved themselves or visited a barber more than a couple of times a week. As such, even though beards were extremely out of fashion, a few days growth of beard could well have been the norm. It is interesting to note, though, that a ‘five o’clock shadow’ could render you a target. The prominent Whig politician Charles James Fox was almost always depicted with heavy stubble, partly to highlight his status as a ‘man of the people’. If nothing else, this does suggest that ‘ordinary’ men, especially lower down the social order, were routinely stubbly. Fox is the figure at the far left. But barbers were sometimes unpopular for other reasons. 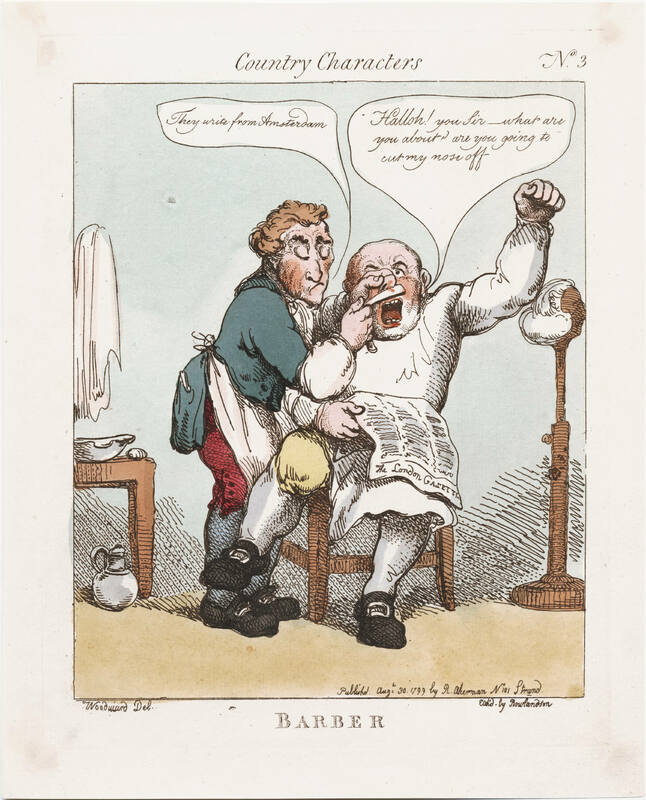 A raft of satirical cartoons poked fun at barbers who paid little attention to the sufferings of their customers or, worse still, paid little attention to their customers at all! In this cartoon, the barber is lost in his own conversation, talking about an acquaintance in Amsterdam. ‘Hulloa there’ cries the poor customer, ‘don’t you know that you’re about to cut off my nose?”! This was also a time when barbers were in a period of transition. After splitting from the barber-surgeons’ company in 1745 to create their own occupational identity, the shift away from medicine was also marked by a move towards specialisation in hair dressing. Indeed, the term ‘hairdresser’ was increasingly becoming common towards the end of the eighteenth century. The extent to which hairdressers still provided shaving services for men is one of the questions I’ll be addressing in my new project on the history of shaving in Britain between 1700 and 1918. In any case, I’m getting used to beardless life again after six months of facial hirsuteness. Many times in the course of my work as a historian of seventeenth-century medicine and surgery I’ve had cause to be thankful for modern biomedicine. My experience at the hands of a modern barber has given me the same feeling with my work on the history of shaving! If I was to be sporting this particular piece of facial topiary in eighteenth-century polite society, it is highly likely that I would be frowned upon. As I’ve detailed in a previous post, facial hair of any sort fell dramatically from favour sometime around the mid eighteenth century. The reasons for this are complex, and by no means mutually exclusive. One strong possibility is a shift in concepts of masculinity. As ‘polite’ society became refined, so fashions for men became increasingly feminised. This was the era of the bag wig, silk hose and face powder – at least for those in the upper levels of society. Facial hair connoted rough, earthy types and was not a feature of the polite gentleman’s visage. Medicine, too, might have played a part. In the early modern period, facial hair was viewed as a form of excreta resulting from too much heat in the liver. Like any other form of bodily waste, it was being expelled and so to remove it was to rid the body of a potentially harmful substance. But another interesting point is that this period also witnessed an astonishing shift in the technologies available for shaving, mostly made possible by the potential of new types of steel – most notably cast steel, often referred to as crucible steel because of its manufacturing process. Unlike its predecessor shear steel, which could be brittle and of uneven quality, cast steel had perfect properties for the manufacture of razors. It was capable of being sharpened to an extremely keen edge and, more than this, could be polished to a mirror-like shine, meaning that cast steel razors could look beautiful, as well as being functional. But the availability of new materials was not, on their own, enough; what was needed was a new breed of technologically-savvy makers to develop new products. In fact, this was exactly what happened. London, in the mid-eighteenth century, was a hub of technological and manufacturing expertise. But, we should not think of this in modern terms of factories or large-scale production lines. Instead, there were hundreds of individual small artisanal workshops involved in a multiplicity of trades, many of which required metallurgical expertise. Watch and clock makers, for example, required steel for their tiny components, but also in the tools needed to manufacture them. Makers of scientific instruments likewise needed precision tools to make their highly specialised products, as did surgical instrument manufacturers. It is important to note that many carried out their own experiments with metals tailored to their own individual needs, and this made London a centre for metallurgical innovation. Many trades became concentrated into certain parts of London making mini clusters of expertise. Into this milieu we can place razor makers and some notable names in particular. Typical of this new breed of metallurgical innovators was John Horatio Savigny of Pall Mall in London. Savigny was likely of Huguenot descent, his family coming to London in the seventeenth century. The ancestral trade of the Savignys was surgical instrument manufacture, and several others of the family were engaged in similar manufacturing trades. But John Henry, or JH, Savigny as he was often referred to was perhaps the most prominent and widely esteemed. From his base at number 129 Pall Mall, Savigny was continually involved in the manufacture of a range of metallic goods. In 1778, for example, he advertised his new type of lancet which, he informed “Gentlemen of the Faculty” were made using “a method […] lately contrived whereby these instruments are brought to such a degree of accuracy as will greatly lessen the pain of the patient and totally remove all apprehension of disappointment in the operator”. Notice the emphasis upon his “new method”, referring to his experimentation with steel. In 1776, Savigny referred directly to his new methods of manufacture in another advertisement for lancets. Again addressed to “Gentlemen of the Faculty” – i.e. London Physicians, he laid special emphasis upon the fact that “he has invented a new Vertical Machine, particularly calculated for the perfection of Lancets”. His “Cast Steel Convex Penknives”, according to a 1775 advertisement, had “received the Approbation of the most eminent Writing Masters”, and could be bought in person from Savigny at his shop near the Haymarket. But it was razor manufacture that really made Savigny’s name and, once again, his experimentation with steel lay at the heart of his advertising pitch. By 1764, his “Razors tempered by means of a new discovered process” could also be bought from his shop. Tempering suggests the remelting and refinement of steel, a difficult and intricate process requiring specialist equipment and knowledge. These new razors were functional and attractive. More than this, they appealed to a new market of male toilette, one in which polite gentlemen were increasingly beginning to shave themselves, rather than visit a barber. A range of new products was becoming available to them, from shaving powders to soothe the face, to travelling kits and even beautifully carved and constructed shaving tables. A raft of advertisements followed, with razors often prominent among the products listed. By 1800, Savigny could boast an entire printed catalogue of products, aimed at enticing customers to browse, and hopefully to buy. But Savigny was keen to diversify beyond instruments, and evidence from patent records shows that he introduced a range of other products. In 1800, Savigny proposed a steel tourniquet to stop bleeding “more effectually than has hitherto been done”. In 1784, he proposed “ A METHOD OF MAKING OF SKAITS, AND PARTICULARLY FOR FIXING THEM ON WITH MORE EASE, SAFETY AND EXPEDITION THAN HATH HITHERTO BEEN DISCOVERED. Savigny was rapidly becoming an authority on steel, so much so that his expertise was sought by the Birmingham manufacturer and luminary Matthew Boulton, of the Boulton and Watt company. Boulton sought Savigny’s advice on the quality of some new types of steel that he was purchasing from India. Indeed, it was not only in metallurgy that Savigny was seemingly making a name for himself. These adverts suggest that he was an amateur actor, perhaps of less talent than his main business! All this adds up to a picture of a man who was typical of the new enlightened breed of manufacturers, interested not only in their own businesses, but in the possibilities and opportunities of their age. …In the manner following:- Of the purest steel that can be procured, which is to be forged (with very moderate and often repeated immersions in the fire, so that its substance may receive no injury from a separation of its particles by excess of heat, but on the contrary be rendered as dense as possible), into the form of a razor, differing in form from all other razors heretofore made in the cutting part of the blade”. The razor market was becoming highly competitive by the late eighteenth century, and many other makers rose to prominence, such as James Stodart, Benjamin Kingsbury and Daniel Riccard, all of whom used the ubiquitous newspaper advertisement columns to push their products. Others, like Edward Greaves of Sheffield in 1804, continued to develop the razor, this time suggesting springs to create three lockable positions, making the razor more functional and adaptable. But the salient point here is how far facial hair, and specifically its removal, carried significance in the eighteenth century. Much time, energy, money and advertising space was expended by manufacturers keen to make their products most prominent. The process of shaving was loaded with social significance; to be facially hirsuite, as I have said, was undesirable. It could therefore be argued that the humble moustache or beard played a central role in spurring metallurgical innovation in Georgian Britain. Far from being a mundane everyday experience, the history of shaving can actually reveal much more about past societies than we might usually think.